22nd September, 2018: The River Closure ceremony for 720 MW Karot Hydropower Project held today at the site of Karot Project. The Project is located on Jhelum River at about 55 km from load center of Islamabad / Rawalpindi near Village Karot in District Rawalpindi, Punjab and being processed by Private Power and Infrastructure Board (PPIB) under the China-Pakistan Economic Corridor (CPEC) initiative. Honourable Federal Minister for Power Division, Ministry of Energy, Mr. Omar Ayub Khan was the Chief Guest, while Mr. Shibli Faraz, Leader of the House in the Senate, Excellency Mr. Yao Jing, Ambassador of China to Pakistan, Mr. Fan Xiaxia, Executive Vice President of China Three Gorges(CTG), Mr. Wang Yu, Chairman, China Three Gorges International (CTGI) and other high ranking officials of Government of Pakistan, Government of AJ&K, Government of Punjab, PPIB, CPPA-G, CTG, IFC, Silk Road Fund, Export Import Bank of China attended the ceremony. Speaking on the occasion, Federal Minister Mr. Omar Ayub Khan conveyed his pleasure to the company on achieving yet another important milestone of river closing and assured full support of the government in further and timely development of 720 MW Karot project as well as other projects of CTG Group in Pakistan. He expressed his confidence that with proven track record of CTG/CSAIL the project will be commissioned in a timely manner. While conveying that Pakistan has a tremendous hydropower potential of more than 60,000 MW, he urged CTG Group to participate in the development of even more hydro, wind and solar power projects in Pakistan. Mr. Shah Jahan Mirza, Managing Director PPIB gave a brief history of how the inflows of private investments started in the power sector of Pakistan, starting from the first IPP, the 1,292 MW Hub Power Project conceived in 1985 till date, where PPIB has facilitated 15,468 MW of power generation, and has a current portfolio of 14,107 MW being processed. He said that keeping in view the present requirements of the nation, priority is being given to hydro, whereas 231 MW have been commissioned and 7,431 MW are in process. He said that 720 MW Karot Hydropower Project is one of the three hydro power projects being sponsored by China Three Gorges and the river closing is one of important developments towards successful implementation of project. 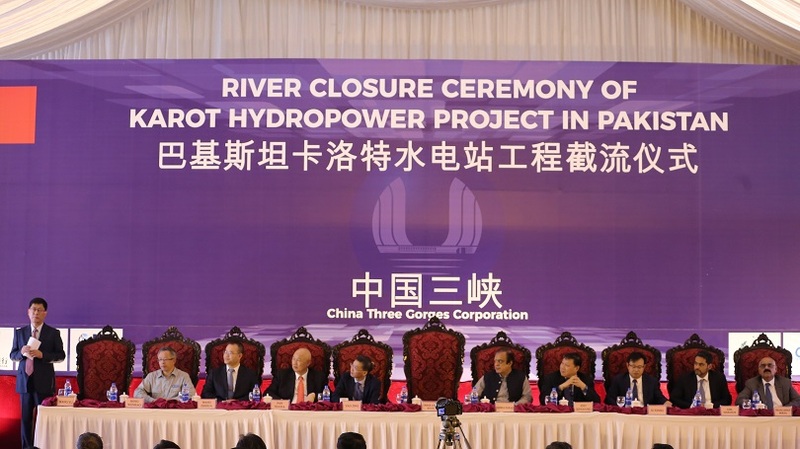 The Chinese Ambassador congratulated the company on achieving historic breakthrough of River Closure and expressed that the Government of Peoples Republic of China has always fully supported the Government of Pakistan in its endeavours to bring prosperity to the people of Pakistan through development of projects in multiple avenues and through working together and cooperation in international arena. Executive Vice President CTG Mr. Fan Xiaxia informed the participants that it is a great blessing that the River Closure Activity has been successfully achieved in a timely manner. He complemented the hard work done by the Karot Project Team in undertaking various construction activities in a planned and coordinated manner with active support of various departments and entities of the GoP, GoAJ&K and Government of Punjab. Mr. Wang Yu, Chairman CTGI addressing to the gathering conveyed that in order to achieve the goals, we must always remain sober-minded, constantly build up our capacity and improve the development ability. Meanwhile, we should also constantly pursue innovation and never stop the pace of making progress. In a bid to Support the policy of the new government for making Pakistan clean, green and pollution free, the dignitaries of ceremony initiated the tree plantation drive at the project site through plantation of three trees. 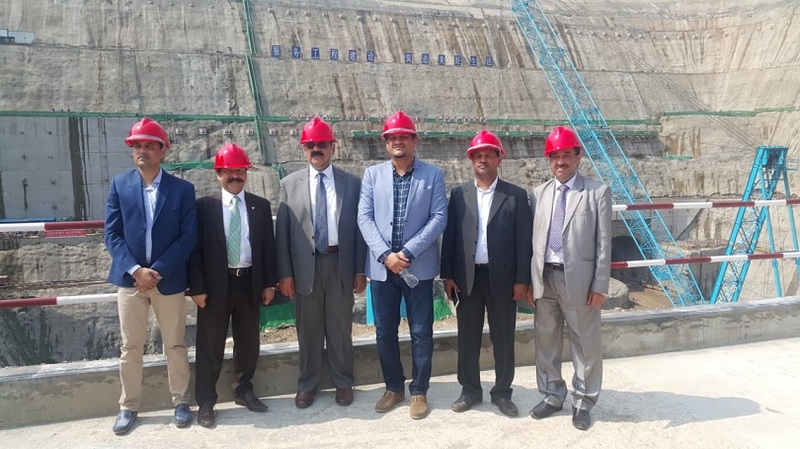 All the dignitaries and participants, while witnessing the successful River Closure Activity, highly admired the quality of work being done by the company in Pakistan as per International Standards and appreciated the arrangements been made by the company for the event.